If you're looking for a great Dominican Republic resort, you're absolutely going to find one! There are so many great resorts in the Dominican Republic but it is also a location that has some real misses. The Dominican Republic was not such a long time ago thought of as a bit of a resorts backwater with not too many resorts of outstanding quality. Wow has a lot changed as cow paddocks and sugar plantation make way for the nation's new pride and joy - their quality mega resorts and all inclusive resorts. Here you'll find the best resorts by type. We've listed the best family, teen, adult only, golf, spa, and romantic resorts. The Dominican Republic is full of history and was the original entryway to the new world for the Spanish. But if you are staying at a luxury or an all inclusive resort you are likely not going to encounter much of that history except for the many tours that the resorts can organised. Many of the new resort developments are in “new” areas like Punta Cana where there are not too many sizable townships to speak of. Apart from the endless sunshine there are opportunities to enjoy the natural beauty of the beaches, snorkel in colorful marine environments and visit many and varied attractions. There are also specific Dominican Republic locations on the right. Click here to see Dominican Republic Luxury Resorts only. Or click to visit our Dominican Republic All Inclusive Resorts for the best in that category. Punta Cana has the highest rated resorts in all of the Dominican Republic and you'll find many of them in our top picks. They are all inclusive resorts primarily and the selection gets bigger and bigger each year as each generation of mega resorts does it's best to out class the last. While previously there were a few brands which grew more and more resorts - nowadays each of the big names in resort vacations are doing their best to have their own real estate in the place in the sun among the tall coconut palms and 35 kilometers of clear water, white sand beaches, where it rarely rains on the parade. This resort has been especially designed for families with a family concierge, kids kit, kids pool with slides and Kids Zone which has a variety of activities, arts and crafts. It goes from age 4 months and up. There are luxury suites, a spa with gym, golf course and a large assortment of activities and entertainment. It's also on one of the best private beaches around. Reviews are excellent and past guests like the variety of food options available, the professional and friendly staff, and there are many "best vacation ever" reviews. We don't see that very often! More information and reviews for The Reserve at Paradisus Punta Cana. 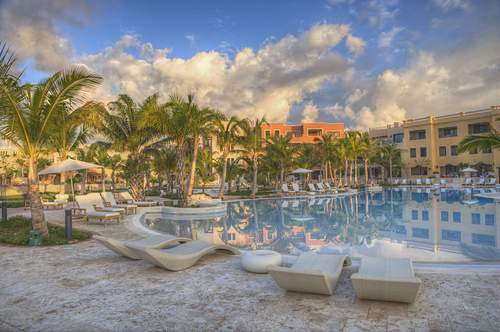 Eden Roc at Cap Cana by Punta Cana is currently among the top rated resorts in the Dominican Republic. See more information and special offers on this amazing resort. This 5 star adults only all inclusive resort in in Punta Cana on the great Bavaro Beach. It has 9 a la carte restaurants plus buffets and has been completely renovated recently. There are lots of daily activities and facilities to choose from. Reviews are quite good here. The beach is reported to be quite nice, staff are helpful and overall a great hassle-free vacation. Food is also reported to be great. More information and reviews for Barcelo Bavaro Beach. There are many more great adult only resorts. See more Dominican Republic Adult Only Resorts here. 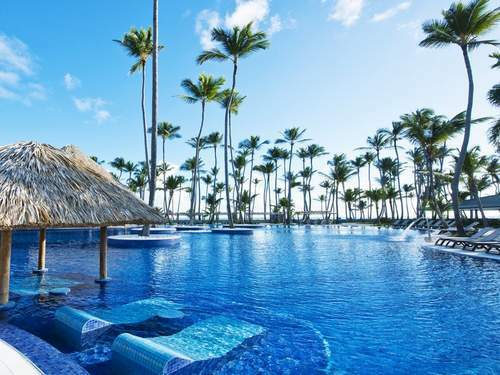 This luxurious 5 star all inclusive resort is in Punta Cana. It's close to the airport, has 4 restaurants and 4 pools. The Jack Nicklaus designed golf course has been named as one of the best in the Caribbean. You'll also find great fishing spots, a spa and wedding chapel. Reviews are great and this resort is an award winner. Past guests love the suites, say customer service is superb, food is excellent, and staff are very friendly. More information and reviews for Also Luxury Village. A very luxurious resort great for romance and relaxation. Key elements are the wellness and spa experiences, gourmet dining, luxury suites, and a variety of activities like yoga and sailing. Reviewers seem to love everything about this resort. The spa, food, staff and rooms are all loved. Many note the quiet and peaceful atmosphere. More information and reviews for Zoetry Agua Resort. We've picked this resort as the best spa resort because the world class spa is not only great for the adults but great for kids as well. They've designed special treatments for the young ones like strawberry facials and chocolate and mint scrubs. It also has a variety of great treatments for adults also. This is a family-friendly resort with a kids club and teens club. There's also a casino, golf course close by, gourmet dining (6 restaurants and 2 buffets) and many land and water sports available. Reviewers love the white sandy beach, say it's good for groups, and a great spot for a wedding. See the latest reviews and get more information for Now Larimar Resort. See Iberostar Costa Dorada and the best Dominican All Inclusive Resorts. You may also want to take a look at Iberostar Bavaro Suites. Another great all inclusive. Punta Cana and Puerto Plata are the main spots for really fantastic resorts. La Romana is another of the larger areas with great beach resorts. 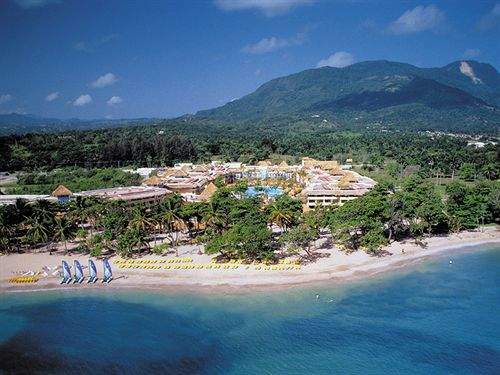 There are a few smaller areas that do have some very good Dominican Republic resorts also. If you are visiting Boca Chica, the best choice for you is likely Be Live Experience Hamaca Beach Resort. It's an all inclusive resort on Boca Chica Beach and has a nice spa. Las Galeras is another lesser know area and the best place to stay here is Grand Paradise Samana. It's a family-friendly mid-range resort.